Your car is always in good hands at Carlisle Air Automotive in San Antonio, TX. We’re a team of highly qualified technicians with experience servicing all makes and models. We keep you two steps ahead of any costly repairs or breakdowns by performing scheduled maintenance services. Our preventative maintenance services are key to keeping customers’ vehicles on the road, performing stronger and longer. Owners who adhere to a routine car maintenance schedule are able to retain the resale value of their vehicle and extend its road-life. 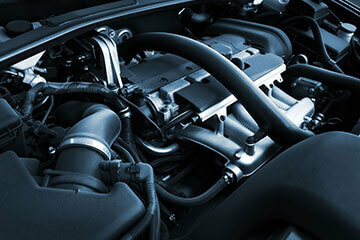 The most important car maintenance service is the oil change which protects the engine from friction and overheating. Protect your vehicle’s quality performance for the foreseeable future with a quality maintenance service plan from Carlisle’s Air Automotive. We have a complete list of maintenance services, including tune-ups, diagnostic services, lube services, maintenance inspections, trip inspections, fluid services, filter replacements, computer diagnostics, and more! Keep your vehicle on the road with a service plan that preserves your vehicle’s excellent performance. Our service experts determine your car maintenance schedule by your vehicle’s age, your driving habits, and the manufacturer’s recommendations. We’ll also consider your vehicle’s purposes. Some vehicles will require shorter maintenance intervals to keep up with the wear-and-tear from road travel. Our team is focused on solving all of your vehicle’s performance issues. But we’re dedicated to making sure you avoid costly repairs altogether. It’s possible to avoid repair needs! All you need is the techs at Carlisle Air Automotive to provide you with a maintenance schedule that recognizes issues before they become problems. We stay abreast of all the latest technologies to make sure your vehicle receives the best auto and A/C services possible. Safety & Emissions Inspections–Call Us! Carlisle Air Automotive is your one-stop shop for all maintenance services. You can come to us for all of your vehicle’s safety and emissions inspection services. If it’s that time again for a State Inspection service come to our shop first. Our technicians make sure you’re always road-ready while using the most advanced tools and service techniques. We use top-of-the-line equipment and the best quality replacement parts. For expert part replacements and installations, the best quality motor oils, air conditioning and heating service, inspection services, come to Carlisle Air Automotive! You can reach us at one of our two convenient locations–North San Antonio (210) 558-1020 or South San Antonio (210) 922-5991. Next time you’re in the area, feel free to stop by to meet our experts so we can put your vehicle on the most effective car maintenance plan.